Vietnam, Philippines, and Macau aren’t the only places in the continent seeing some early poker action this year. 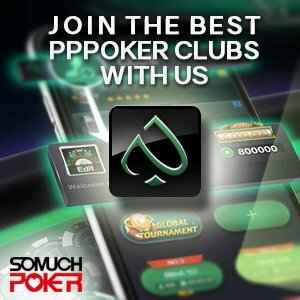 In India, the Deltin Poker Tournament in partnership with Adda52.com concluded their first event of 2018. The five-day festival ran from February 15 – 19 and as always, it was onboard the Deltin Royale in Goa, India. The DPT usually hosts four of these festivals a year with players drawn in by the fun and the juicy prizes. 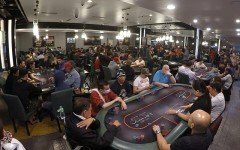 This edition saw the featured tournament – the 35K Main Event – offer a highly lucrative 1 crore (~US$154,000) guarantee. While a couple of pros came close to the title, claiming the victory was Dainik Mehta. Another event seeing big prizes was the High Rollers event with 100 players ponying up the 65K INR for a 63,35,600 INR (~US$97,600) pot. Alok Birewar shipped it and recently honored female poker pro Muskan Sethi finished in a respectable 5th place. The most envied player at the DPT was undoubtedly Dainik Mehta. Mehta successfully navigated his way through the 293 entry Main Event minefield to capture the single largest prize money of the festival. He pocketed the lion’s share 23,19,680 INR (~US$35,700) out of the guaranteed 1 crore (~US$154,000). Prior to this festival, Mehta had no live tournament stats making this victory that much more impressive. He powered through a tough final day that began with 87 players gunning for the title. Upon entering the final table, Mehta was seated amongst some of the finest Indian players which included WSOP bracelet winner Aditya Sushant. Sushant eventually finished in 5th place. To ship in the title, Mehta defeated Arjun Arora at the heads up round. This was the second time Arora has fallen in this position, having finished runner-up of the WPTDeepStacks India last year. Other notables in the money were Rajesh Rajpopat (12th), Malik Gagandeep (13th), Bharat Agarwalla (24th), and Rajnish Kumar (25th). The 65K High Rollers event packed in 100 entries for a hefty 63,35,600 INR (~US$97,600) prize pool. Numerous pros were seen batting it out at the felt with some hitting the rail before the money round. Among the fallen was Manoj Penatakota (DPT High Roller champion in February 2017) falling two spots shy of the cash. Sitting at the very top of the rankings was Alok Birewar who shipped in the largest cut of the pie taking home 17,74,000 INR (~US$27,300). Birewar defeated Nikhil Jain at the heads up to run away with the first title and trophy of his live tournament career. Also in the money was Muskan Sethi, a female poker pro recently honored by India’s President Ram Nath Kovind. Sethi was celebrated as one of the 100 Indian women achieving success in a male-dominated profession. The list was put together by the Women and Child Development Ministry recognizing first women achievers in various fields. Sethi finished 5th place at the High Rollers event. Her live career stats sit above US$40K however her online earnings are into six-digits.